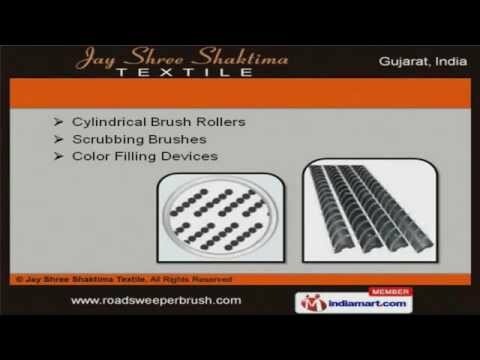 Welcome to JayÂ ShreeÂ ShaktimaÂ Textile, Manufacturer and Exporter of Industrial Brushes. The company wasÂ inceptedÂ in 1991 atÂ Ahmedabad. Vast industry experience and Sound infrastructure facility helps us to grab maximum customer satisfaction. L and T Limited andÂ EMBÂ Corporation are some of our prestigious clients and we are backed by Assured quality products and efficient logistics facilities. We offer a wide assortment of Textile Industry, Sweeping and Nylon Brushes. Our Wire, Cleaning and Twisted in Wire Brushes are widely acclaimed in the market. We also provide Color Filling Devices, Scrubbing Brushes and Cylindrical Brush Rollers that are highly efficient. We are engaged in offering supreme quality Industries, Road Sweeper andÂ StenterÂ Brushes. We are known in the industry as the manufacturer of Comber, Side Sweeping and Concrete Brushes. We have gained tremendous expertise in providing Brush Strips, Glass and Painting Brushes.